The day I learned I had made my first NBA All-Star Team, I honestly wasn’t thinking about it too much. We had a game that night, and I was focused on keeping my same routine. I had taken a nap, and after I woke up, I was chasing one of my daughters around. Then 5 p.m. hit, and my phone rang. It was Johnnie Bryant, one of the assistants with the Jazz. Johnnie was my basketball drills coach this offseason in Utah. He and Isaiah Wright, the strength and conditioning coach, were with me the whole summer. I spent many mornings with Johnnie, grinding and really trying to improve my game. Over the season, I’ve continued to lean on him. We watch film together and have maintained my workouts and all of that so I have a good relationship with him. Johnnie told me I was an NBA All-Star. After that, my phone just started blowing up. So many people reached out, calling me and texting me, it was almost overwhelming. Coaches from high school. Coach Stevens, my college coach. College teammates. Jazz teammates, past and present. Friends. Family. The whole deal. I can’t remember the number of messages I got. I just know there were a lot. More than I ever could’ve expected. To be recognized as an All-Star is an incredible feeling. It’s rewarding. It was definitely one of my goals going into the summer. I think I’ve taken a step forward this season, and it’s because I have improved upon a lot of the little things in my game. My footwork is better this year. My ability to finish in the lane has been better this year as well, and I think a lot of that is attributed to the work that I did this summer on footwork, on balance, and on core stuff in the weight room. That’s boosted me up two or three points this year that I didn’t have last year. Any time you spend hours and days and weeks trying to add something to your game, and you’re able to apply it in a real game and have success, it doesn’t get much better. So to see all that hard work I put in during the summer be recognized and rewarded was a cool feeling. I went into the season with a different mindset too—a mindset to continue to be aggressive and assertive when the game is not necessarily going my way. I’ve brought that to every game. Those things have helped me be the player that I am this year, an NBA All-Star. It’s an honor just to be able to say that and to say it as a member of the Utah Jazz, for this franchise and this city. It’s not something that a lot of guys have gotten to do over the years. I think there have only been 10 All-Stars in the history of the Utah Jazz. This is the seventh year I’ve been with this franchise, and I know how passionate these fans are and how much they love the game. They were fortunate for so long with John Stockton and Karl Malone. For a long time, they’ve wanted somebody to come in and be an All-Star. It makes me happy that I can kind of carry that torch for the franchise for a little bit. I want to thank the fans who were with me from the beginning, who stuck with me and supported me—from when I was a rookie all the way to now, when we’re making a run at the playoffs. It means something extra special to have the All-Star honor come during a year where we’re having the best Jazz season since I’ve been a part of the organization. I definitely have to thank my teammates and the coaching staff for putting me in the position to even have a chance to play in the All-Star Game. If we hadn’t been successful as a team this season, I don’t think I would have made it, and that’s how it should be. That’s always been the person and the basketball player that I am, a team-first person. I don’t worry about the individual stuff. It usually takes care of itself. The greatest obstacle for any team going into the All-Star break is getting through the dark days of January and into February. We’ve now played 52 of our 82 games. That’s a lot of games. Guys are beat down, both physically and mentally. We have five more left before we get to the break. You see some teams, they’ll check out right before All-Star break, and drop four or five in a row. These games going into the break are very important because you want to have some momentum. You want to feel good going into the break, so when you come out of it, you can try to pick up right where you left off. This road trip we’re on is extremely important. We did a great job in Atlanta on Monday night. That was a good start. We’ve been very good at home all season, and the next step for us to take as a team is to be as effective on the road as we are at home. Great teams are able to play the same way when they’re on the road as they do at home. For us, that’s dealing with the crowd and the road trip—the travel, the sleep and all that. We’ve taken steps this year, but we still have a little ways to go. That will be the next step. It will come. It’s a matter of having more experience. When you’re together for a longer period of time, it’s easier to play on the road. It’s about finding consistency. Those teams that are ahead of us in the Western Conference, they are who they are every single night. We’ve had moments like that this year, and we’ve had winning streaks and times when we were playing really well. But there were other times where we fell back and dropped a game to somebody we shouldn’t drop a game to, or played down to the competition a little bit. So I think consistency is something that we’ve got to be better at. Another area where we can improve is rebounding after a loss. It actually kind of goes hand-in-hand. We need to pick right back up where we left off, continue to play with confidence, and move on to the next one. That’s something that’s collective. It takes the group having a short memory. If you have a bad game, you’ve got to be able to just shrug it off and keep going. Sometimes, that’s a matter of picking teammates up on the court. Sometimes it’s off the court. It could be me saying something to the group, or George Hill saying something to the group. Lifting teammates up is something that I knew I needed to do as a leader of the team going into this season, and I feel like I’ve done that. When you have teammates that are able to pick each other up, it makes you a lot better as a unit. George has been awesome for us as a leader on the court and in the locker room. He has a calming presence when he’s in the game. He’s so under control with the basketball, making the right decisions. And the way he’s shooting the ball has really added another dimension to us as well. He’s truly been our floor leader out there. Rudy Gobert also continues to be a tremendous presence for us. He’s been just a mammoth on the block and down in the paint for us, and not only defensively. His ability to catch the basketball and finish this year has been so improved from years past. He’s been instrumental to our success. He was deserving of being an All-Star, and I would have loved it if he could have joined me in the All-Star Game. It’s a sense of pride for your team and for your city to have multiple representatives. One guy who is playing really well and doesn’t get enough credit is Joe Ingles. He has been so steady and solid for us the whole season. When he gets in the game, he makes things happen. He’s been one of our best defenders. His playmaking ability is something that’s really underrated, and then there’s the way he’s been shooting the ball. He’s in the top five in 3-point percentage around the league. That’s pretty excellent. With all our injuries, every player on our team has been important. 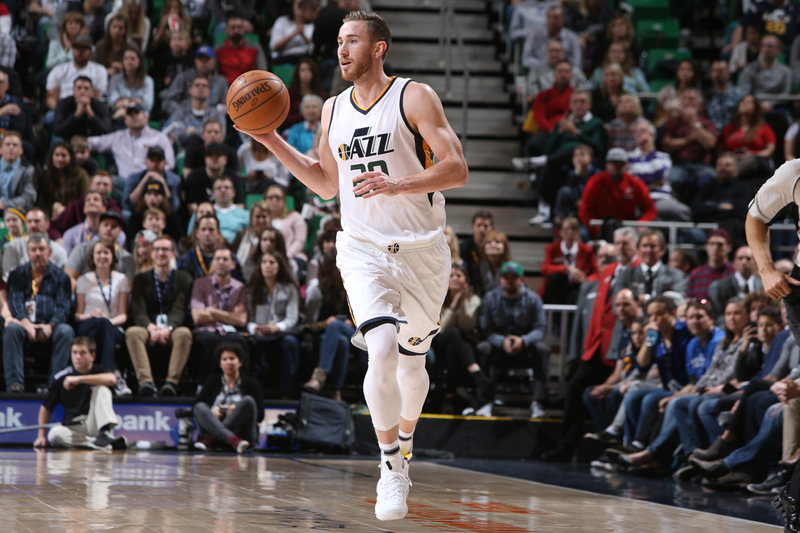 Joe Ingles has filled in and stepped up for guys that have gone down on multiple different occasions. With Rodney Hood down, Alec Burks has played extremely well coming back from his own injury. He’s another guy who we’re going to need to rely on, with his speed and ability to get to the rim. Joe Johnson has been tremendous for us this year with his versatility and his ability to play two, three, or four. We have a lot of depth and versatility now. For us as a team, it comes down to doing the right things and making the right plays to be successful. That starts on defense. I’ve said this in some of the blogs before, but we really have played pretty well on defense this season. It’s given us the chance to win some games that we quite frankly shouldn’t have been in, given how we were shooting. We’ve had several games where it’s come down to the wire and we’ve pulled it out. If we lose those, you’re looking at a five-to-ten-game swing, and we’re definitely not in the position that we’re in. It has me confident in both where we are right now, and where we are headed. I look forward to riding this thing out through the All-Star break and seeing what we can do in the playoffs. Once we get to All-Star weekend, what I’m really looking forward to is actually being a part of the main event, to be with all those great players and participate in the All-Star Game itself. I’ve participated in All-Star Weekend before. 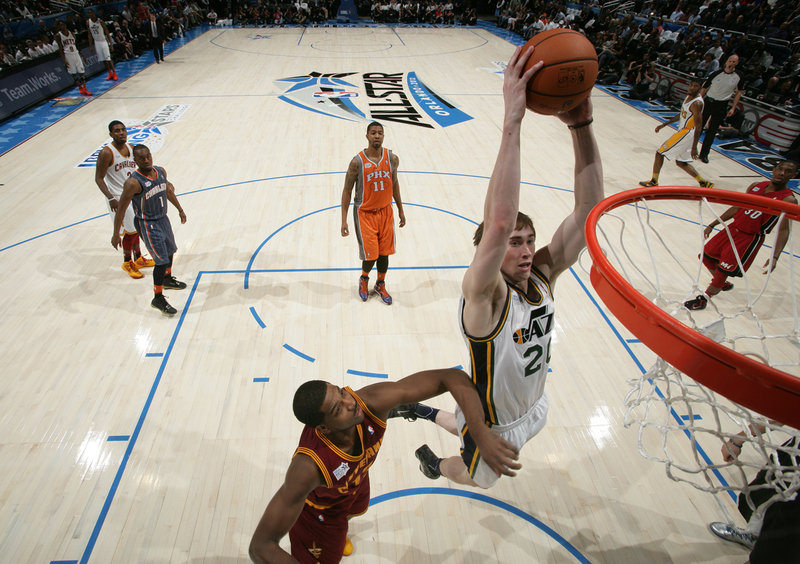 I did the rookie-sophomore game, and also helped Jeremy Evans in the dunk contest. But when I went there in the past, it felt more like being a spectator. The rookie-sophomore game feels like a JV game, and then the varsity plays on Sunday. So I don’t really know what to expect this time around. I’m just going in with an open mind. One of the best parts of All-Star Weekend is going to be sharing everything with my family. All of my family that is able to make it is going to be there, and I’m really happy that they’ll get a chance to see me. Robyn is taking care of a lot of the accommodations. She’s been so amazing through all of this. More than anybody, she knows how much work that I put in. I was gone for so much time, even during the offseason, and a lot of times I had to leave her at home with the girls while I went to put in the work at the gym. She was extremely happy for me and excited, but we wouldn’t be having the success as a family that we are without her. I’m so appreciative of all she does for me and our family and all of her support. We’re going to have a great time down there for that weekend. We’ve decided that we’re not going to bring Bernadette and Charlotte with us because that would probably make the weekend a lot more chaotic. It will also give Robyn and me a chance to spend some time together that we don’t normally have with two little ones running around. It’s also going to be incredibly meaningful to have my parents there to watch me play in my first All-Star Game. The call with them after I found out I was an All-Star was one of the most important ones to me. They’ve been with me every step of this journey. When we talked, my dad was a little emotional about it. I’ve worked with him since I can remember, and he taught me everything about the game. I remember growing up, playing “Around the World” with him in the basement, playing him one-on-one till I could finally beat him, playing 21. He was my coach all the way up until high school. We spent so much time together just traveling across the country in the minivan, going to different sporting events, AAU events. He reminded me of a time when I was little, and we wrote down my goals as a basketball player. (He wrote them down for me.) The last one was to play in the NBA. So there was not even a goal “to be an NBA All-Star.” In our wildest dreams, I don’t think either of us actually thought it was possible. I don’t think anyone really ever thought I’d make it this far when I was growing up. I was a kid with two 5’10” parents. For my dad to have a chance to come watch me play in the NBA All-Star Game is something I don’t think either one of us imagined would ever happen. It’s going to be a really, really cool experience that I don’t think either of us will ever forget. Love the post G-TIme. Can’t think of someone more deserving of the All-Star honor. Keep up the great work! Hope to see you in SLC for a long time to come. You are now getting the National recognition you deserve! Keep bringing it! Love to hear your thoughts first hand. It really puts things in perspective and all the time and hard work it take to get to where you’ve gotten too. Been a Super Jazz fan since I was 10 or so, so 26 years and it’s exciting to see all of you guys coming together and growing as a team. I know there’s a ton of more work for you guys to go, but I know Jazz Nation is behind you. Awesome for you to be an All-Star, but even more awesome that you are a great representative of your family, team and self. Keep it up G-Time! Gordon, we love having you here in Utah and I hope we have you for many years to come. Great post. You deserve to be an all-star. Thank you for sharing your journal to the world. What an incredible player and person that you are! Hope to hear again about how the All-Star experience is from an AllStar-player point of view. Does the NBA give you special recognition or festivities outside of what is shown on TV? How do you get along with the other All-Stars? How does the NBA accommodate your family? How do you guys prepare for the main event? Congratulations to you, your dad, Robyn, and your whole family. Have fun out there! Gordon you are our lebron. I’ve watched as we have been able to get closer and closer to a championship. I believe that you are the man to bring Utah its first ever NBA championship. Hope you know what you mean to this city and stay a long time. We need you. It has been a delight watching your growth since I first watched you at a Butler with Howard, Mack, and Nored. You all played like a team. When you were signed by the Jazz, I was thrilled and continue to be so. Too often great players do not do all the little things that make their team better. You do these things. Congratulations to you and your entire family for your All Star place. Well deserved. The Jazz are not where they are with out your work ethic and effort. 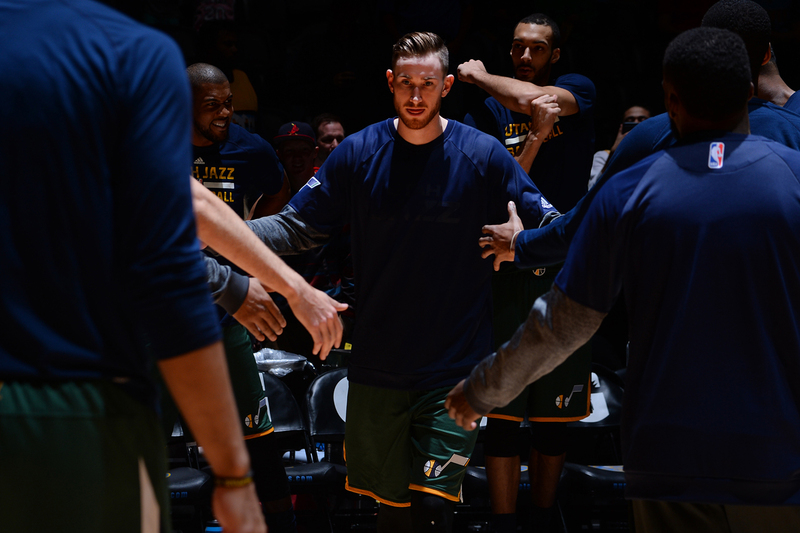 Gordon, it has been great to watch you grow as a player and with the Jazz over the years. Jazz fans are excited about this team. I hope you stay in Utah, this team can be really good for years to come. Congrats on making the All Star team!!! Oh how I wish we could be there! I could see that desire in that very first game in Denver. Those pictures of you entering the court for the very first time says it all. Anticipation and a confident walk. Go for it. From your number one Colorado fan. Congrats Gordon! As a single full time Dad of two little ones, I’ve had a pretty rough past year. Though, as I watch my favorite team the Jazz, and most specifically you overcome obstacles on and off the court, it has given me nothing but inspiration. I hope you stay a Jazzman. Your my favorite NBA player, your so competitive, and such an inspiring leader out there. Can’t wait to watch you in New Orleans…Go Jazz!!! Gordon, thanks for your posts. They are very interesting and a fun read to see your insights as a Jazz member and a normal father/husband. Congrats on being an All-Star, very well deserved. Keep up the good work and enjoy the weekend in NO. Also, I follow you and your wife on instagram. My wife and I especially enjoy your wife’s posts as we have a daughter a month younger than Bernie. They are very similar in their growth patterns and its funny seeing the emotional trials, both great and not so great kids that age provide. You have a great family. Please stay in Utah! Awesome post Gordon. Not only are you an incredible basketball player and deserve the All-Star recognition, but you are also a great example off the court to the youth in Utah and around the world. Utah has a unique family and hard-work culture that you portray perfectly. I couldn’t think of a better player to represent the Jazz and the state of Utah in New Orleans as an All-Star. It’s so great to read about the type of life you live off the court, while at the same time seeing you just kill it on the court. Thank you so much for your dedication, passion, and character you have shown over the years. We all hope you continue to stay here in Utah and lead this team to the next level. Many will be watching. Inspiring post, I share your blogs to my sports mangement students and your blogs are lessons that they can pick up to help them with their lives. I always tell them your about the game, the bigger game called life. Wishing you more success! You are not only an amazing basketball player, but a class act as well. Thanks for being a positive role model for so many people. Keep up the hard work! We jazz fans love and appreciate you!! I grew up in the Stockton / Malone era. As great add it was, watching you and this current team being built brick-by-brick has been my favorite time as a Jazz fan. This is my favorite team, and you’re the nucleus. Hope you stay in Utah a long, long time! Thanks for your post. Great to see you getting the recognition you’ve earned this year! We’ve all loved having you here in Utah, and we hope you can stick around. Congrats Gordon! Team play is so underrated, there’s not many auxiliary guys that are great in multiple stats like your game. Even fewer that make it to an all star level without extreme ball usage. This is a major feat, well done man. Your connection and growth with Rudy on offense this exciting, going to be a menace in the playoffs! Thanks for working hard and staying loyal to a small market team. Congrats Gordon you truly deserved the nod this year and will continue to get the recognition you deserve. Not only are you bring national attention to yourself you’re bring it to Utah and the Jazz. The rest of the NBA better watch out thanks to you. Gordon, greetings from Europe.. Great that you mentioned Gobert’s snub and what Ingles means for the team. 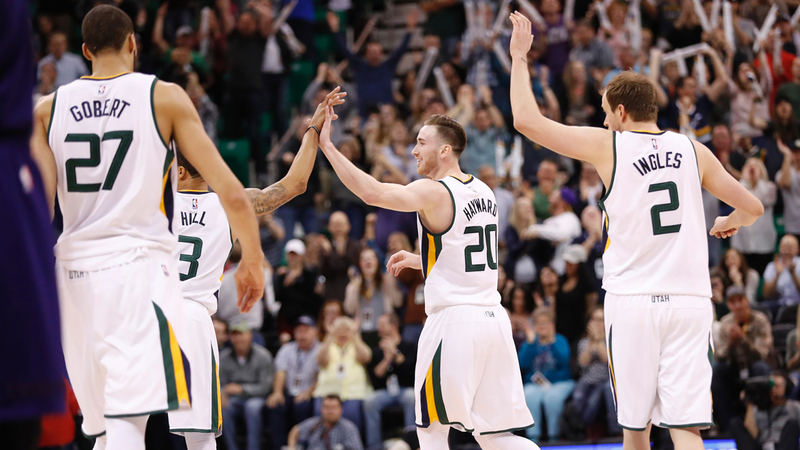 The Utah Jazz are doing so well and will only get better over time, that’s scary for everyone in the league. Our team is built for postseason success and we’ll be a contender for years to come. True, we now lack the experience but our guys are poised, fearless and confident. 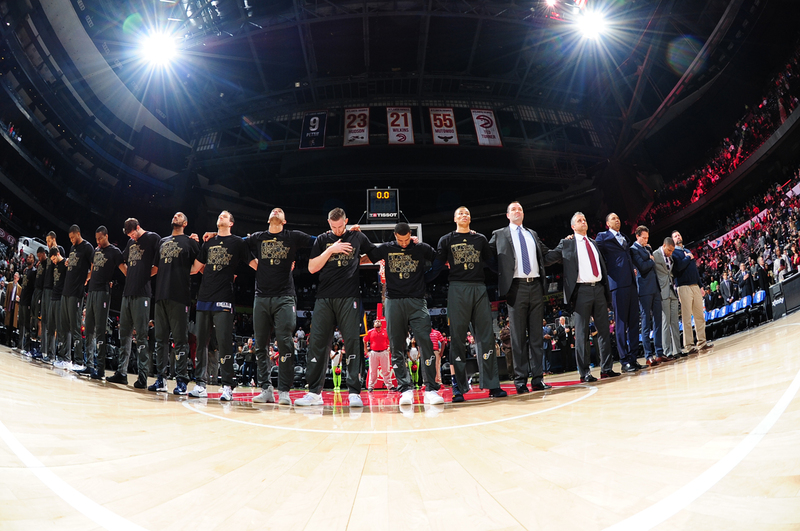 We may lose games and playoff series but we’re young and resilient, we’ll keep coming back stronger. After years of planning and hard work something remarkable will happen in Utah, you should not be leaving it. Thanks for sharing this post, I love reading these. Keep up the great work and there will be a statue of you in downtown SLC some day. If i ever go to the USA perhaps Salt Lake City will be my first destination, really hope someday i could watch the Jazz live from the arena 😀 . It’s pretty hard to watch the game from here cause its not as famous as some other big market teams. Keep the fighting spirit high for the rest of the season and furthermore Gordon! just want you to know that there is a fan of the jazz from this Far East Asia Country that will always Support you and the Team 🙂 . Great blog post G-Time. So happy to have you here in SLC. You’re the perfect representative of the type of athlete we want representing our city and the state of Utah. There’s only one uniform you should ever wear – #20 Utah Jazz! Thanks for giving us a player’s perspective. As a fan, I am always curious about the day-to-day life of the players and their take on the team, players, etc. Thanks soooooo much for sharing your life with us fans. Awesome post! I’m a lifetime Jazz fan; all of our icons have been hard-working, high character guys on and off the floor. It’s no small thing for Jazz fans to have you carrying on that legacy and becoming an SLC icon in your own right. Thank you too for always acknowledging the support you get at home. We are all proud of you for making the All-Star team but more so for how you did it. You’ve come a long way since the first time most of us saw you playing in the regional tourney as a moppy headed college baller. Keep it up! You’re as slick with a pen as you are with a cowhide globe, G-money. Great blog, and great season this year as the star of my beloved Utah Jazz. Keep up the good work, and I hope someday my kids are taking their children to the arena and telling them tales of the THREE bronze statues. I was perusing the internet after last nights win against the Washington Wizards and came across this post. I’ve always been a big fan of Gordon Hayward and the way he plays the game. It’s been great to watch him grow up on the court. I have an 18 month old son that means the world to me and I hope to be the best dad possible to him. I always want to live my life to be my sons greatest example, but It’s nice to have people like Gordon in the Utah spotlight to be another example that I can lean on in helping my son grow and develop. Gordon, from what I can tell, you’re a great man. If you stay true to the values of respect, hard work, and dedication, you will build a legacy that will live forever in the people that you influence. Thank you for your example and doing your part as a member of the Jazz organization. 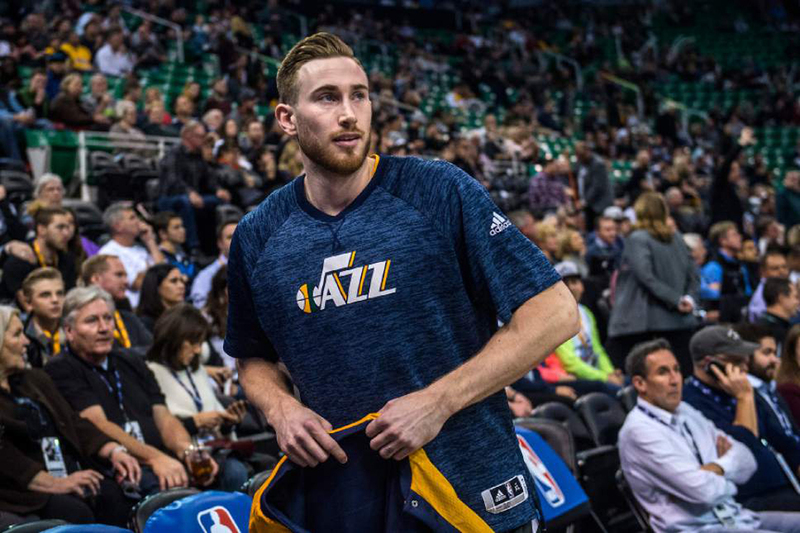 Hayward, it’s been amazing to watch you, your family, and the team grow over these past 7 years. The Jazz have shown a lot of faith in you; They saw, in you, even more than what others did. I believe things will continue to blossom. I have no doubt that you’ll finally reap what you’ve sown. We, the fans, have grown to love you. To us, you are family. Great road win tonight against the Rockets!! What a fantastic block you had on Harden!! Congratulations on being selected to the All Star Team this year! Good luck getting a great play off seed!! Thanks for your great example to everyone out there, Gordon! I haven’t been as much a fan of the NBA in recent years because I saw most of it as guys trying to be show-offs and who weren’t making the best decisions off the court. You have changed that for me. Thank you for being someone I can look up to in the sporting world, someone I would be proud to have my kids emulate and adore like many other families out there. Thank you for sticking to good values and putting your family first. While of course, we would love it if you could stay in Utah, we will be big fans regardless of who you play for. Keep up the great work!